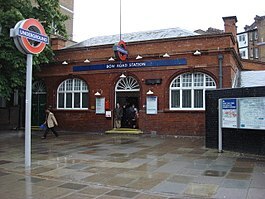 Are you located in Bow Road? Planning to set up your business? Searching for accountants in Bow Road? We know how difficult it is to set up a business or run a business smoothly. The most important task is to run a business smoothly is manage day to day finances. We Miranda Management and Accountancy Services Ltd. In Bow Road is your one stop solution for your financial management services. It’s your money, but we will take care of your money. We will help you to invest your money in a proper way. So we are here to solve all your queries and problems. Services Provide by Miranda Management and Accountancy Services Ltd. When it’s come to Miranda Management and Accountancy Services Ltd., we have specialised in serving both small and big companies in Bow Road. We provide wide range of services i.e bookkeeping, payrolls, annual reports, VAT, taxation, audits, personal and professional tax, etc. Our working professional auditors are available round o’clock to serve you. Our motto is to satisfy each and every client in every possible way. About Miranda Management and Accountancy Services Ltd.
Miranda Management and Accountancy Services Ltd. Provides A-class services to their clients. We have a brunch of young, dynamic and experienced professionals who will take care of your business needs and finances. We provide regular training to our professionals to update their skills. They think out of the box and give you the best solutions for your business. So why are you waiting for? If you are located in Bow Road, do not hesitate to drop by our office for a quick consultant.